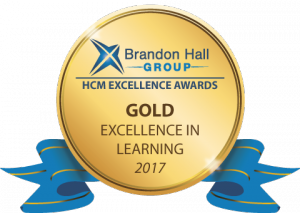 We are delighted to note that, with our clients QuintilesIMS and Microsoft and our partner VitalSmarts, Intrepid won 6 Brandon Hall Excellence in Learning 2017 awards. Here are the details, and links to the case studies for which the awards were given. Within the larger Microsoft sales organization, the 3,000 global sellers focusing on the public sector (non-profit and government) face some unique challenges with their buyers. Pushing the innovation edge again, the Microsoft-Intrepid team designed an online course that not only teaches critical business strategy and financial acumen concepts, but also soft skills like relationship building and empathetic listening. The online social and collaborative features are proving that you really can effectively teach interactive people-skills entirely online, and the public sector sellers are more productive as a result. Read the case study. QuintilesIMS used a blended learning approach to solve their sales challenges with an 8-week MOOC-like program focused on applied learning using real sales opportunities, peer review and collaboration, and manager feedback. The results have been tremendous and the program is now an integral part of QuintilesIMS’s new sales hire onboarding. Read the case study. The Intrepid platform’s social features and overall flexibility allowed VitalSmarts to convert their face-to-face trainer certification for their world-renowned Crucial Conversations course to a highly effective online learning experience, one that not only imparted the skills required but helps give new trainers an emotional connection to VitalSmarts’ mission. Read the case study. 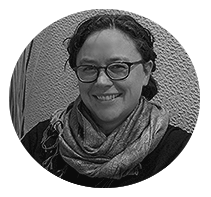 In addition, Intrepid's own Summer Salomonsen, Principal Consultant on the Learning Experience Design Team, was awarded Gold in the Emerging Stars category. Kudos to all the QuintilesIMS, Microsoft and VitalSmarts teams for this great recognition of their innovative work on the Intrepid platform!